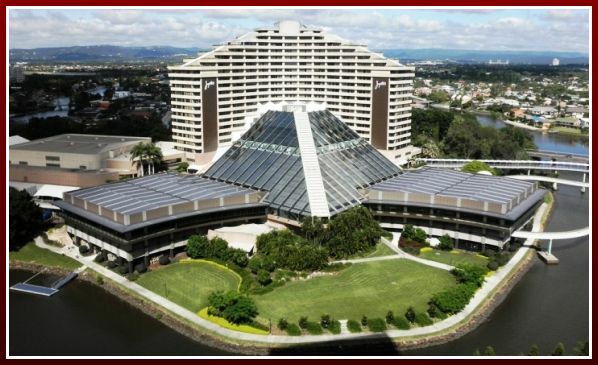 Jupiters Hotel and Casino Resort is located in Gold Coast of Queensland, Australia. It holds a rich history in a variety of aspects, such as for being the first legal brick & mortar casino in the are, as well as for being defrauded out of huge amounts of money and used for money laundering. There are so many stories and tales made about it that I’m not even sure whom to follow anymore. One thing is for sure though, if you’re in this area of Australia, Jupiters is one of the premium establishments to try out. Hotel with 594 rooms for accommodation! Texas Hold’em Bonus Poker, Three Card Poker, Caribbean Stud Poker, BlackJack, DoubleDeck BlackJack, Casino War, Jupiters 21, The Wheel, Roulette, Rapid Roulette, Mini Baccarat, Sic Bo, Craps and a handful of other games. All of the games listed above are offered at one or several tables at Jupiters Casino and in a pretty diversified range of table limits. How about slot machines? These are also offered in multiple types, variations and whatever else. What I’m a fan of particularly is that these games are constantly updated and include a list of popular slots, such as Dragon Fish, Pink Panther, Royal Diamonds and several other games that you’ve likely heard of. Looking to up the stakes for a bit and play in a private environment? That’s perfectly fine as Jupiters Casino offers a full VIP suite and a full red carpet treatment for the so called high-rollers. You’ll be able to play the most popular casino table games in a complete privacy, since the VIP suite is located on the 7th floor of the suite. There also are 130 gaming machines located on the floor – slots that is. Note that you’ll have to contact the casino first if you want to play some games and rest in the VIP gaming suite of Jupiters Casino. ”Absolute” Rewards is a membership program provided by Jupiter’s Gold Coast Casino that is developed for none other than you and actually celebrates the fact that you’ve become a customer of the casino. If you still did not get it – Absolute Rewards is a casino loyalty program, just like the ones that are offered by only casinos. The whole concept is really simple – you play casino games for real money at any property linked to Jupiters Casino (learn about these below) and points will automatically be added to your card. Note that you will have to show a valid ID document to apply for the membership and this card. Once you’ve started acquiring Absolute points by playing games at either Jupiters, Treasury Brisbane Casino, Jupiters Townsville or Star City Casino, it’s time to think about how you’ll spend them. 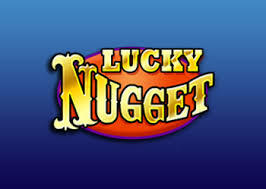 There are several ways to put them to good use, by playing casino games completely free of charge, while still in real money mode! That is done by Casino Dollars, which are earned and added to your card as you keep playing casino games. Superior Room: located on floors between 5 to 16, these are top choice for mainstream of travelers and visitors of Jupiters resort. Benefit from a large LCD screen, wi-fi internet, in-room safe as well as a fairly large amount of space for a room on a budget – 33 square metres. Executive Rooms: while these rooms are similar in size to the Superior ones, they are of another class, loaded with slim line flat TV’s, wifi, king size bed and an amazing view over the pacific ocean and Hinterland Mountains. Located only in three floors, from 18 to 20, they also offer privileges of free pre-dinner drinks, continental breakfast and much more. Overall these are great value for your money. Pacific View Room: located only on a single floor (21th), this is a premium room with interior and features a like. Benefit from 83 square meters, private bar, luxury bath and an extraordinary look over the coastline. Ocean Terrace Suites: these are the rooms of the higher end in the whole hotel. Your own terrace, private open bar, fitness hall, breakfast, pre-dinner drinks and 113 square meters of space. That’s only a small look into what these rooms actually have on the offer. Note that if you opt in to play at the casino as a VIP player, chances are that you are going to get a free complimentary hotel room. Also, guests usually have to check in until 2:00 PM while checking out is possible until 11AM. Of course these times can be easily adjusted depending on what your needs are. With 9 bars and 7 restaurants located within Jupiters Casino & Hotel Resort, you surely won’t have a lack of food or ways to entertain yourself. I like the range of restaurants offered by Jupiters, since there seems to be a great synergy and variety of fast food places to just grab a quick snack between playing sessions as well as more serious restaurants, where you can take a family or business partners out to a great meal. There is also no lack of bars, with 5 different locations for getting some drinks. Note that you can also get drinks while dining, so this goes on top! 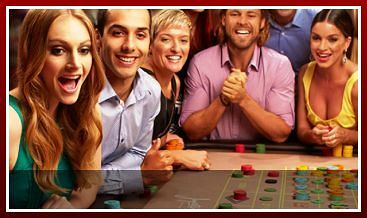 When it comes to entertainment, Jupiters does go on a completely different level than most other casino establishments. They have recently finished renovation of their own theater and concert hall, which cost over $20 million. I’m guessing after telling that I don’t even have to refer to details of how amazing majority of shows and events taking place here are. You can’t go wrong by either coming to Jupiters Resort to gamble and relax or stay at their hotel, which offers something for pretty much everyone and all price ranges and budgets. Concert hall works as a nice addition to the offerings and certainly provides an extra incentive to visit this establishment.